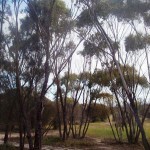 Goomalling’s Oak Park Reserve comprises 149 hectares of remnant native vegetation. Oak Park is named for the Swamp She-oaks (Casuarina obesa) in the area. To its south-west lies the Lake Walyormouring Nature Reserve. 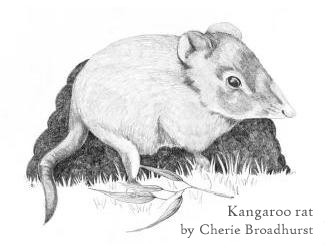 The Ballardong people, traditional owners of the area, refer to it as Wolyamurry, from wolya, the word for kangaroo rat. Since European settlement, 95% of the Wheatbelt area has been cleared for agriculture so Oak Park is of significant value in providing habitat for native animals and illustrating the original mix of flora and fauna in the area. Visitors are invited to enjoy this precious piece of nature. Please do remember to take nothing but photographs and leave nothing but footprints. The Oak Park walk trail winds through the reserve for 3km in two loops which both start at the picnic area. The signs along the trail will tell you about the wetlands, granite outcrops and bush that you pass. 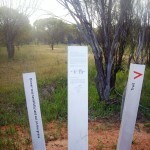 The signs also provide information about the lives of the traditional owners of the land, the Ballardong people, as well as the settlers who arrived from 1899. One of the seats along the walk trail has a bough shelter over it which was carefully crafted by an Aboriginal Elder in 2008. 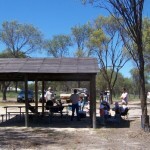 The Oak Park picnic area has a BBQ, covered seating and a long drop toilet. Overnight stays are permitted. turn left onto the Wongan Hills Rd, drive for about 17kms then take the road right into Botherling East Rd. This second route takes a little longer but there is less gravel road to travel. Lake Walyormouring and other similar lakes continue to support some of the most diverse communities of flora and fauna in the Wheatbelt. Both terrestrial and wetland species of plants and animals depend on the environment provided by wetlands such as these. 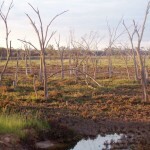 The survival of trees and other plants and animals in a wetland environment depends on relatively fresh water entering the system and on the lake bed drying out sporadically. The living trees and other vegetation provide habitats for animals and important feeding and breeding grounds for a variety of water birds such as the grey teal, black-winged stilt and the white-faced heron. The origin and development of gnammas is not known with any certainty but it is thought that they were initially formed through weathering of faults in granite which Aboriginal people then enlarged by using fire. 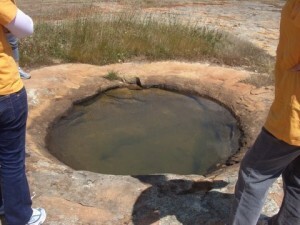 Gnammas can vary in depth from a few centimetres up to 10 metres and their maintenance was of prime importance to Aboriginal people who relied on the water contained in them for their survival. 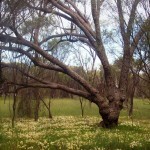 The Ballardong freely shared their knowledge of the land and the location of gnammas and springs with explorers. Casuarina obesa or swamp she-oaks grow widely in southern areas of Western Australia. They can grow up to 14 metres and live for up to 60 years. Generally found growing around the margins of salt lakes and along saline creeks and rivers in the Wheatbelt and goldfield areas, they can grow in a range of soil types including saline loams, sand plains and clay. Swamp she-oak can tolerate quite high levels of salt so are often used to revegetate salt affected and waterlogged areas in WA. Both native animals such as kangaroos and introduced animals such as rabbits and sheep like to eat the leaves of the swamp she-oak. Early settlers used the wood of the she-oak to build houses and fences. Clearing for agriculture began in the Wheatbelt in the 1850s and the Shire of Goomalling retains only 5% of the original native vegetation. This remnant vegetation is valuable in representing some of the original plant species of the area and in providing habitat for native animals. Oak Park is a significant reserve because at 149 hectares it is quite large compared to many other areas of remnant vegetation. This is important because the larger the area of remnant vegetation the more native flora and fauna it can support. Oak Park reserve contains eight different vegetation types and 235 different native plants including five threatened species and at least thirteen species growing near the limit of their range. The daisy family (Asteraceae) forms the largest group of vegetation followed by the grass (Poaceae), orchid (Orchidaceae) and Myrtaceae families. Threatened species include members of the scaevola, daisy and grass families. Oak Park is home to the short-beaked echidna (Tachyglossus aculeatus), one of the most common, but rarely seen, mammals in Western Australia. They are rarely seen because of their nomadic lifestyle and their defence of freezing and curling up into a ball or burying themselves when disturbed. 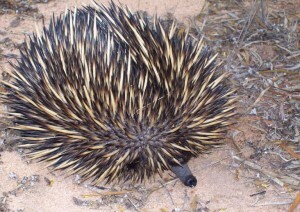 Echidnas can weigh up to 7kg and are characterised by their long pointed snout, sticky tongue and thick quilled spines. 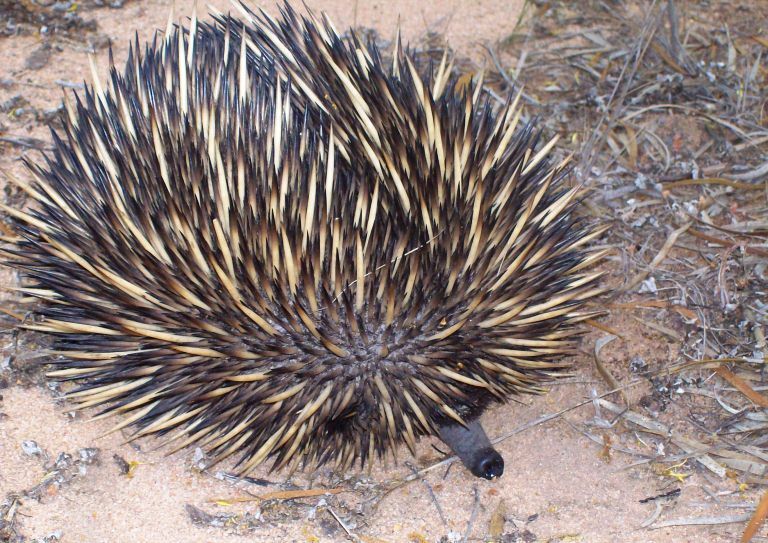 The echidna is a monotreme, meaning that it only has one young per year which hatches from an egg. After hatching the young suckles milk from its mother, who holds it in a small backward facing pouch for two to three months before it is ejected due to the growth of its spines. When you visit Oak Park, look for scrapings and holes dug in the earth as these are signs of echidnas searching for termites, their favourite food. Granite outcrops support of variety of flora and fauna in a fragile ecosystem. 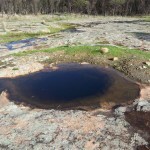 Pools of freshwater found on granite outcrops are an important resource for animals and birds and they also provide a habitat for aquatic invertebrates like the fairy shrimp. Plants such as mudmats (Gossostigma spp. ), waterworts (Elatine gratioloides) and sundews (Drosera spp.) can be found on these outcrops. Granite outcrops are very susceptible to damage from people and vehicles and if you look carefully you will see where vehicles have driven over outcrops at Oak Park. Once damaged this fragile environment may take years to recover. To preserve this part of the ecosystem, when you visit Oak Park please walk only on the bare rock.